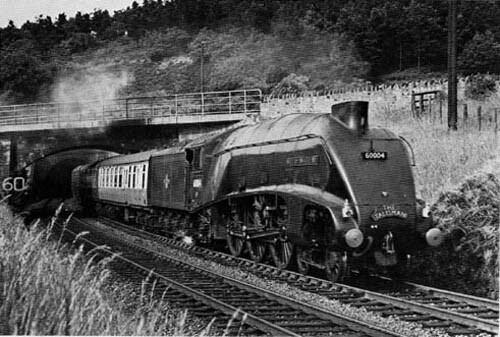 60004 on the up "Talisman" emerging from the now closed Penmanshiel Tunnel in East Lothian on 22nd June 1959. photo H Harman. The photographs of the locomotives used have had their provenance checked and permission for use obtained as far as I was able. If I have used one of your photos unwittingly and you wish it credited or removed, please contact me via the email address shown on the Home page. Thanks.